Comments According to sacred texts, the name emerald was first translated from Sanskrit as “marakata,” meaning “the green of growing things”. 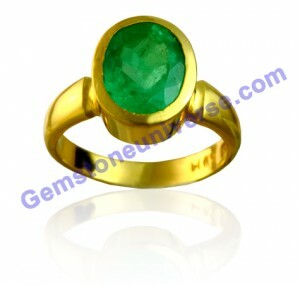 Zambian Emerald always retains its magnificent hue.Emerald is related to planet Mercury. This planet is related to intellect, speech, memory, short travel, wisdom and intuitive power. A person who has favorable Mercury will find emerald beneficial for him as a politician, orator, businessman, PR (Public Relation) for any organization.